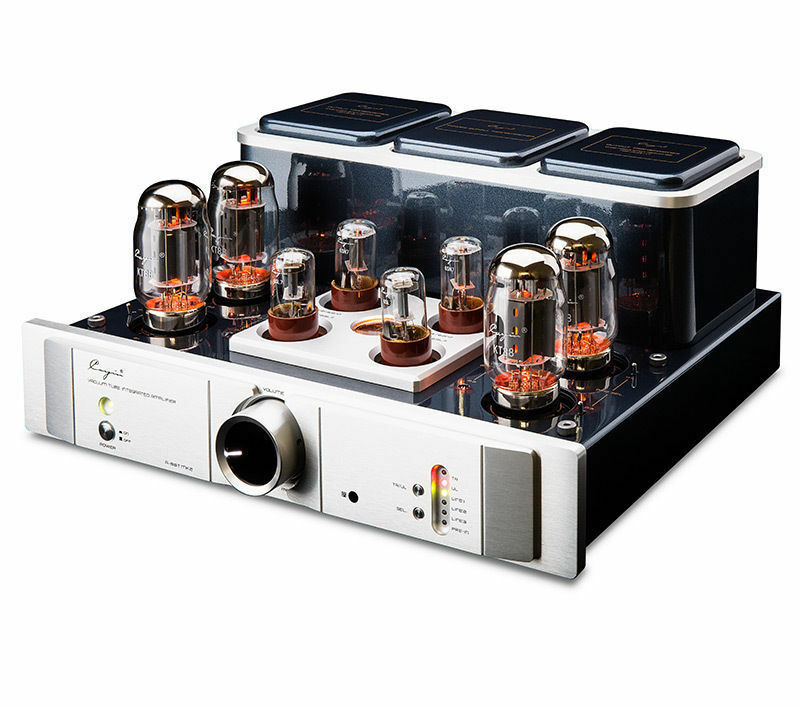 The A-88T is another incredible hand-crafted tube amplifier by Cayin with remarkable capabilities. The MK3 version further improves upon its predecessor’s rich, full sound quality, upgraded with the US and German audiophile in mind. Four EL34 or KT88 tube components are used for Class AB1 push-pull amplification, while the input stage utilizes 6SL7 and 6SN7 pieces for voltage regulation. 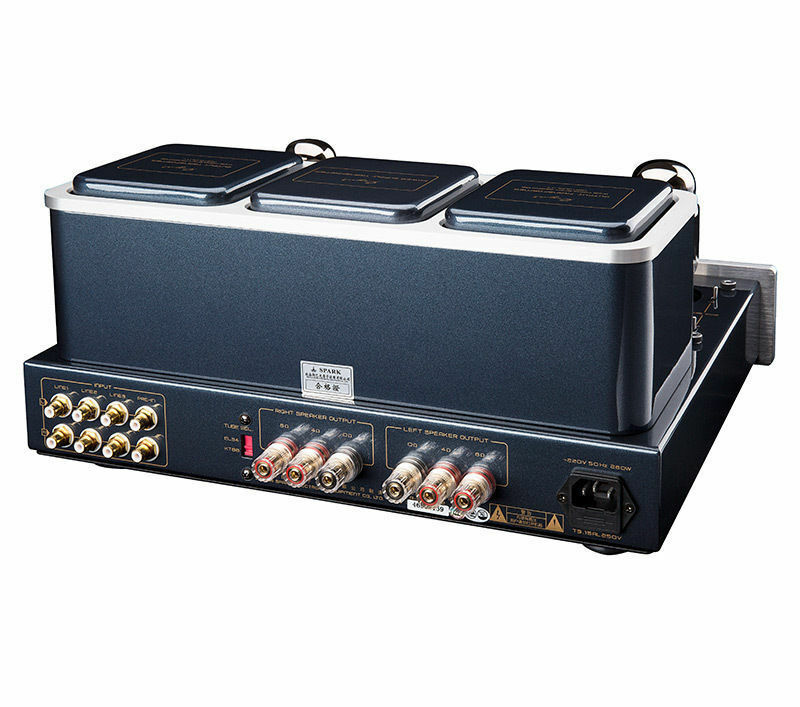 The unit features point-to-point wiring, a high-quality Japanese ALPS motor potentiometer, and a silver-plated signal cable. Two EI output transformers with wide bandwidth and one specially-designed toroid power transformer set the A-88T MK3 apart from its peers. A soft start function (about 30 seconds) and other measures have been put into place for better protection of the power transformer and output transformers. Like its A-50T counterpart, the A-88T includes a removable cage and full-function remote control.